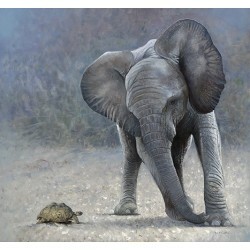 This is a Signed Limited Edition Giclee Print by the artist Ben Jeffery.590mm x 450mmEditi.. This is a Signed Limited Edition Giclee Print by the artist Ben Jeffery.Image Size: 510mm x 38..
Edward Bawden - Tyger! Tyger! This is a Limited Edition Giclee Print by the artist Edward Bawden 200mm x 630mm .. This is a Signed Limited Edition Print by the artist Frank Taylor. 329mm x 250mm .. This is a Signed Limited Edition Print by the artist Georgina McMaster. 360mm x 550mm .. This is a Signed Limited Edition Print by the artist Georgina McMaster. 300mm x 300mm .. This is a Signed Limited Edition Print by the artist Jamie Boots.190mm x 490mmEdition of 4.. This is a Signed Limited Edition Print by the artist Jamie Boots.250mm x 680mmEdition of 4.. This is a Signed Limited Edition Print by the artist Jamie Boots.290mm x 430mmEdition of 4.. This is a Signed Limited Edition Print by the artist Jamie Boots.220mm x 535mmEdition of 4.. This is a Signed Limited Edition Print by the artist Jamie Boots.180mm x 330mmEdition of 4.. This is a Signed Limited Edition Print by the artist Jamie Boots.367mm x 380mmEdition of 4.. This is a Signed Limited Edition Print by the artist Jamie Boots.230mm x 220mmEdition of 4.. This is a Signed Limited Edition Print by the artist Jamie Boots.Image Size:49 cm x 27.5 cm .. This is a Signed Limited Edition Print by the artist Jamie Boots.230mm x 330mmEdition of 4.. This is a Signed Limited Edition Print by the artist Jamie Boots.230mm x 725mmEdition of 4..